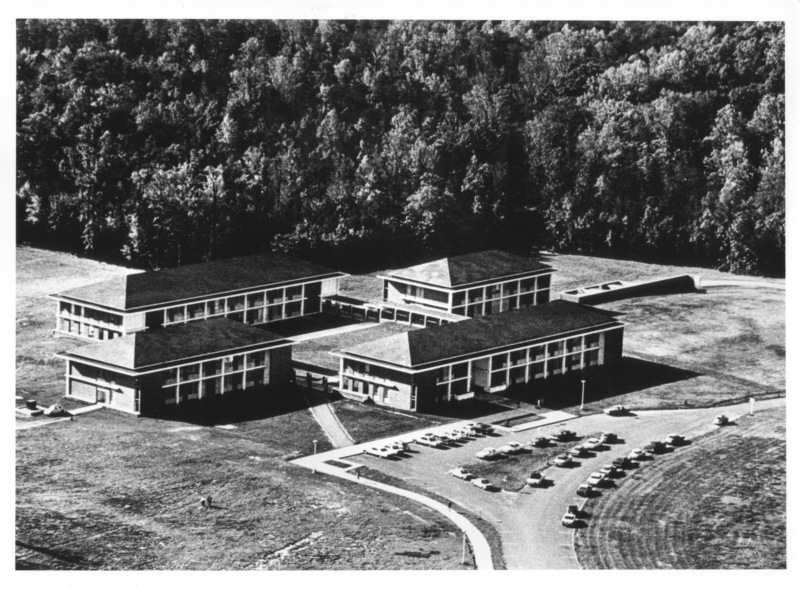 By the fall of 1964, George Mason College was finally in its permanent home just south of the City of Fairfax. It had taken a little over a day and a half and a couple of moving vans to bring the entire Bailey’s Crossroads campus eleven miles west to the new location. Director since January of that year, Dr. Robert H. Reid worked diligently to generate interest among the general population for what he called “the best-kept secret” in the area. Unfortunately, Dr. Reid had difficulties generating support among the campus community because of his leadership style. As the college took root in its new location, campus life also began to take root and develop. The official University colors, green and gold were decided upon by what was often characterized as an "apathetic" student body of three hundred fifty-six. As the college was promoted to a four-year degree-granting institution in 1966, student organizations and clubs began to form. Mason Day and Patriot's Day became George Mason traditions. Students also criticized the U.S. involvement in Vietnam, and were encouraged by instructors, such as James Shea, and the student newspapers, The Gunston Ledger and Broadside. In June 1968 fifty-two seniors, the first graduating class ever, received their four-year degrees from George Mason. Chancellor Lorin A. Thompson, a faculty member from the University of Virginia at Charlottesville who had succeeded Robert Reid in 1966, set the college on a massive trajectory of growth. An enrollment of eight hundred forty in 1966 grew to over forty-one hundred by the fall of 1972. By 1969 Thompson had secured 421 additional acres of land for George Mason. He and his staff helped Mason plan for a student body that was projected to be 15,000 by 1985. But most importantly, Thompson readied the college to become an independent university, which it did in the office of Governor A. Linwood Holton on April 7, 1972.